Towards the end of 2018, Kristen of K Marie Photography and I told the world about the Melanin + Light workshop. It was something we’d worked on for months hoping other photographers would find a need for it. The Melanin + Light workshop was created for the purpose of helping other photographers learn how to better photograph and edit their black and brown clientele, a need we felt was really necessary. After coming up with the concept we decided that our name and logo was pretty cute and that others may be interested in purchasing apparel. 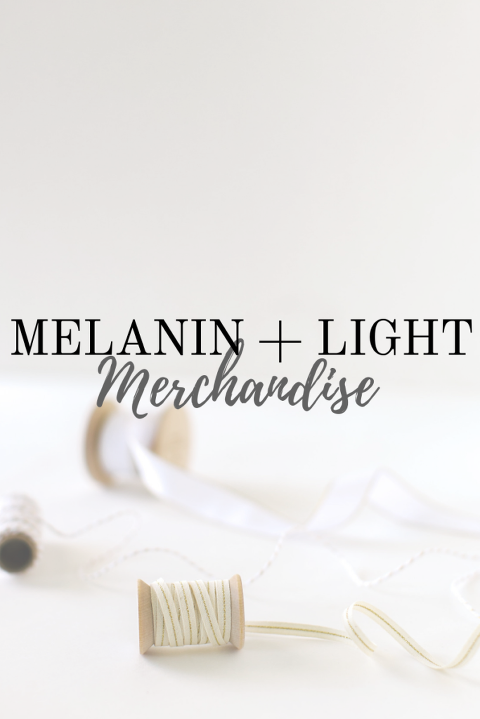 So we began doing our research and the Melanin + Light shop was created! And to shop the Melanin + Light collection now head on over to the following site and make sure to tag us in your social media images and use the hashtag #melaninandlight so we can share your photos!